At the entrance, Jane Locke provided general background information on the origins of the Botanic Gardens. She held a sheaf of laminated illustrations and these were used throughout the tour to bring attention to some salient point or provide a visual context for an anecdote. 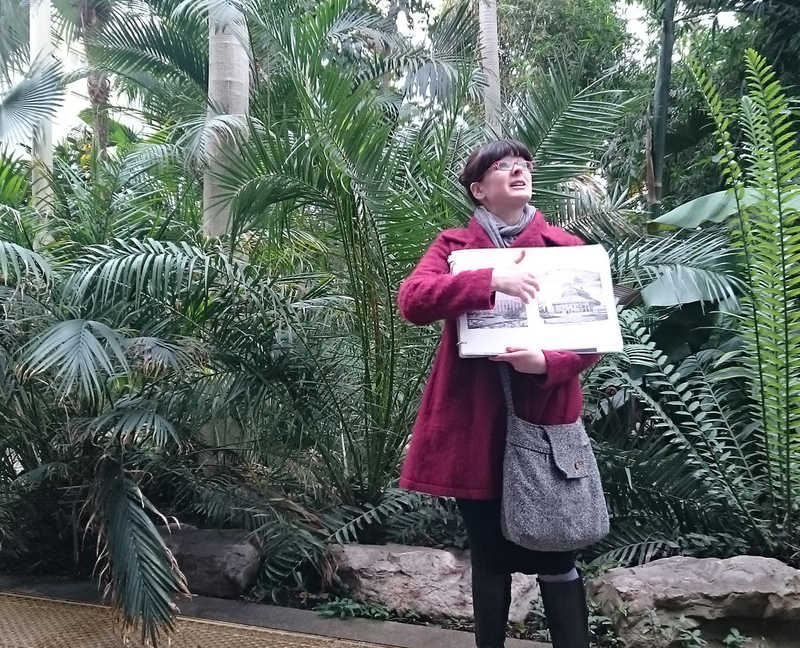 The illustrations included maps of the gardens through its history, black and white drawings, some print reproductions and coloured dream-like drawings, which I assumed to be her own response to research done on site for this project. Significantly, Jane Locke introduced herself as an artist who also holds a science degree and works full time in the pharmaceutical industry. I was not alone in being predisposed to believe whatever information she chose to impart. During an informal chat afterwards, the artist spoke of a tipping point in disbelief; she had expected some cynicism from participants in the tour as her stories wandered more and more into fantasy. In retrospect, I have come to understand that total enjoyment combined with utter gullibility has dangerous implications. Ms Locke’s art of persuasion subtly forces one to confront an inherent willingness to accept authority without question. Albert Einstein, in a letter to Jost Winteler, c.1901. Highfield, Roger and Carter, Paul, The Private Lives of Albert Einstein, St. Martin’s Press, 1994 , pp. 78–79. Jane Locke’s Illustrated Walks in the Botanic Gardens Glasnevin is an OPW commissioned research project comprised of guided tours of the Botanic Gardens Glasnevin with accompanying guidebook ‘A Fascinating Guide to the Botanic Gardens Glasnevin’.